Although the weather is changing and the spring season is upon us, your mindset should remain the same: focused on your startup and keeping your head in the game. While it often feels like business trumps pleasure, it’s important to take some time to yourself and relax – even if it’s just for an hour. Why don’t you make that two hours so you can enjoy the inspirational film starring Tom Cruise titled Jerry Maguire? 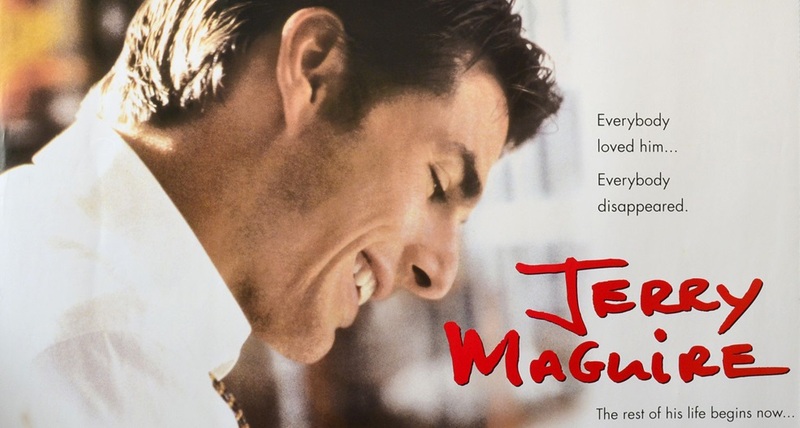 Jerry, played by Tom cruise, is a sports agent who is not only working for one of the top companies in the area, but he has it all: a beautiful fiancee; a comfortable living; and a long list of expensive clients. In other words, he could literally ask for nothing more – until he does. One night he questions his entire existence and purpose. After putting these thoughts on paper, his business superiors don’t feel the same after they read his take on dishonest in the sports industry. After a long business struggle, he winds up losing all of his clients, his job and his beautiful fiancee. Fortunately for Jerry, he winds up with one high-end client, Rod, played by Cuba Gooding Jr., who is willing to keep Jerry as an agent, with a lot of hard work, of course. Jerry also leaves the firm with one woman who never loses faith in his decision to go solo. Throughout the movie, Jerry faces it all. He has to deal with the struggle of rebuilding his entire lifestyle, from his job to his personal life; he winds up falling in love with Dorothy, the woman who leaves the firm with him, played by Renee Zellweger; and he must do whatever is necessary to ensure that he not only survives the loss of his career but he doesn’t lose his client or the girl in the process. As the movie slowly concludes, towards the end, Rod winds up with a serious sports-related injury and the mystery of whether or not he will play again leaves viewers in suspense. Luckily for us, he does play again, which allows Jerry to secure a high-paying sports contract for him with the Arizona Cardinals. In the end, Jerry keeps his client; gets the girl; and opens the door for not only new clients, but a completely new beginning. In all reality, this movie is the epitome of an everyday entrepreneur. Whether you’ve only been writing down ideas for your startup or you’ve actually launched it, this movie is bound to be inspirational for anyone. Jerry not only triumphs over all of the obstacles he faces throughout the movie, including business and personal challenges, but he does it realistically. At times, he loses hope and wants to give up; even he doesn’t have faith in himself at times; and he faces failure after failure. The truth is, one of the only reasons that Jerry succeeds at the end of the movie is because he is willing to move forward. He continues to tread on even though he has dealt with nothing but hardships. If you don’t try, you’ll never know if you would have succeeded. Jerry could have very easily crawled back to his agency and took a desk job that paid less, but instead, he tried doing something different. Even though it was tough, he wound up in a position that he had only dreamed of. You will never be able to avoid personal obstacles. Even if you’re consistently focused on business, personal issues are going to interfere with your work. Though some situations can be more challenging than others, don’t allow them to overrule your life and cause you to lose focus on what is important. Value the individuals who believe in you. Sometimes, it may seem like you have 500 doubters and one believer – appreciate that, regardless of who it is. One person can be enough fuel to motivate you to be better; be strong; and run a successful startup.